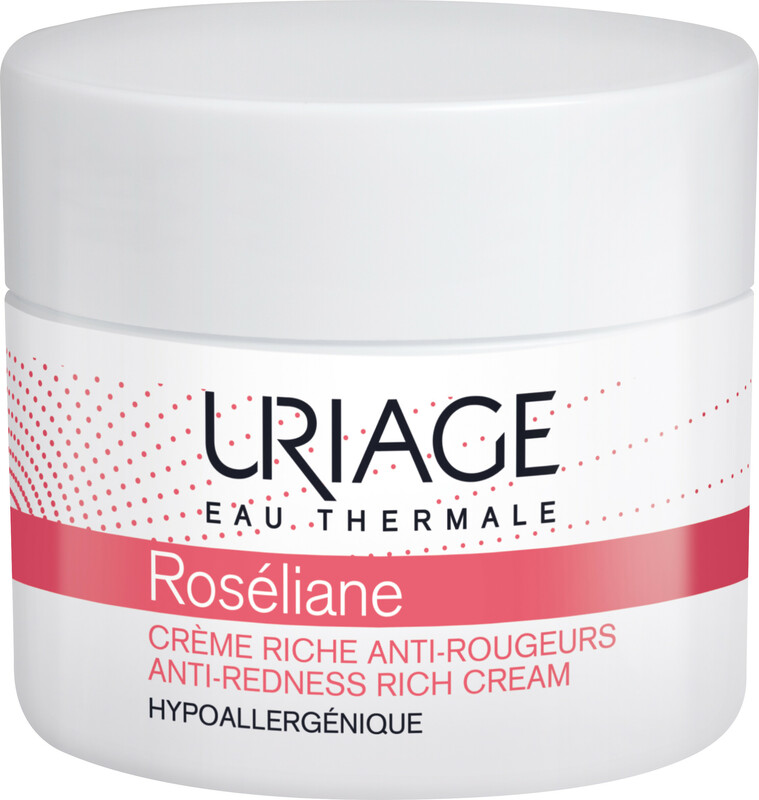 Calm and balance your complexion with the Uriage Roseliane Anti-Redness Rich Cream, a soothing daily moisturiser that diffuses the appearance of redness in the skin. The Roseliane Anti-Redness Rich Cream deeply moisturises reactive skin types whilst diffusing the appearance of skin redness day after day. 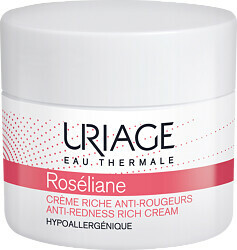 Perfect for those with rosacea, its comforting formula is enriched with Uriage Thermal Spring Water and shea butter to hydrate, whilst an infusion of ginseng and red algae extract targets redness. In addition, the partnership of TLR2-Regul and SK5R work together to regulate the activity of Kallikrein-5, your skin’s augmented inflammatory response.